Meet the Board: Executive Director Riana Durrett, Esq. A dedicated industry advocate and native Nevadan, Riana Durrett’s commitment to the regulation and growth of the medical marijuana industry cannot be understated. Durrett joined the government affairs team of the Nevada Dispensary Association in February of 2015. In her current role as the association’s Executive Director, she is responsible for coordinating the NDA’s legislative and policy agendas as well as researching and responding to various issues that affect medical marijuana dispensaries in Nevada and performing crucial community outreach. A natural leader and a driven attorney licensed in both Nevada and California, Durrett enjoys the opportunity to facilitate cooperative efforts among NDA members who have invested considerable time and resources into the burgeoning medical marijuana industry in Nevada. Many of whom, like Durrett, joined the NDA to assist in growing a professional, safe and productive industry for medical marijuana in their home state. 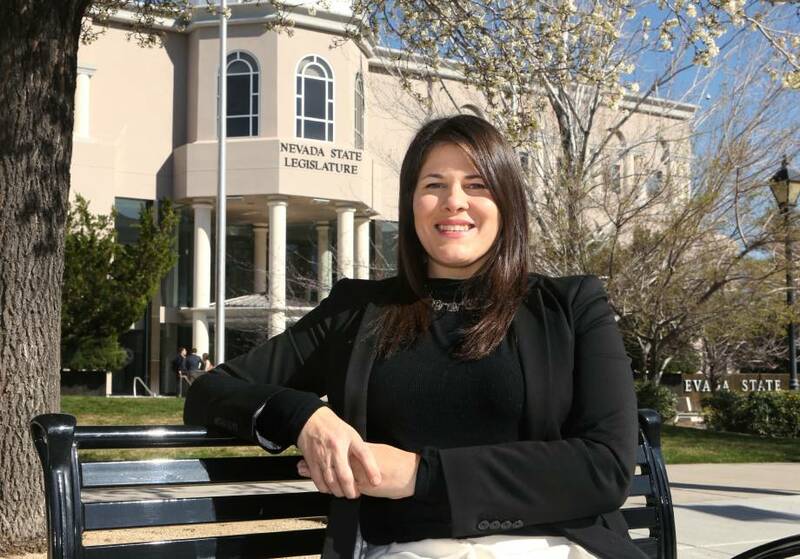 With a Bachelor of Arts degree in Political Science at the University of Nevada, Las Vegas, Durrett followed her early education with a Juris Doctorate from the Boyd School of Law. She also served legislative internships in Washington, D.C. and in the Nevada Legislature, including a judicial clerkship for the Honorable Judge Elissa Cadish. Durrett has practiced law for six years and is happy to be able to put her experience in government affairs and policy-making to good use as the NDA’s Executive Director. A mother of two young boys and wife to Assemblyman James Ohrenschall of District 12, despite her busy career as an Associate Attorney at Reza Athari & Associates as well as her work as the NDA’s Executive Director, Durrett is active in the Las Vegas community. She participates in the Nevada Attorneys for Criminal Justice and Nevada Justice Association as well as volunteering on pro bono legal cases with Legal Aid Center of Southern Nevada. In keeping with her dedication to regulating the marijuana industry in Nevada for patients as well as business people, Durrett is also president of the Nevada Marijuana Council, a council of industry leaders who seek to promote common sense regulation and balance the many interests of the medical marijuana industry.